Born 28th December 1899 in Caterham Valley, Surrey, UK, John was educated in Margate, Kent. He retired in 1922 taking a position as assistant secretary with the Shanghai Water Company. John was mobilised in 1939 as once again the clouds of war began to darken. He began in the Shanghai Navy Control Station. That was followed with an appointment on HMS Scorpion, followed by HMS Durban, a cruiser in the Eastern Fleet based in Singapore. 1912 Sept, Cadet, RN College, Osborne House IOW. 1919 18th Aug, Gained DSC while serving as No 1 on CMB 31 in the torpedo attack under heavy fire against the the Bolshevik battleship Andrei Pervozanni. 1924 15th Aug, Issued Masters Certificate by Board of Trade. 1931 Sept, Sailed with his wife & two daughters to Shanghai where he took the position of assistant secreatary to the Sganghai Water Company. 1941 April 3rd, MTB 26 in collision with HMS Thanet, upper body crushed resulting in amputation of right arm. Board of Enquiry found Boldero very much to blame. 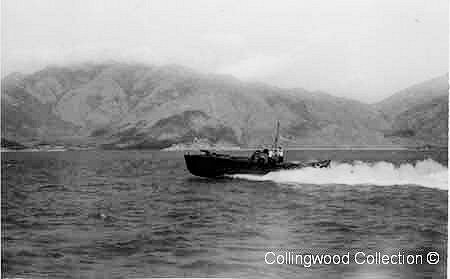 1941 Dec 21 HMS Cicala bombed & crippled by IJA, scuttled by depth charges from MTB 09. 1946 prosthetic arm fitted at Queen Mary Hospital, Roehampton. 1947 13th July, Reverted to Retired List, Medically unfit. 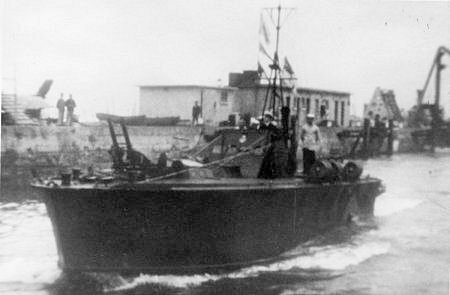 HMS Cicala one of the twelve Insect Class River Gunboats had previously been stationed with the Yangste West River Patrol Squadron.. The 2nd MTB Flotilla was commissioned into the China Station in 1938 under the command of Lt-Cmd D G (Nobby) Clark RN. Nobby, along with most of the younger Imperial RN officers were recalled for action in the European theatre of war. 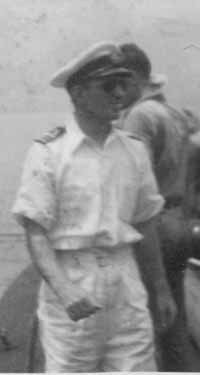 Lt-Cdr John Christian Boldero RN (Rtrd) replaced Nobby Clark as S/O of the flotilla. 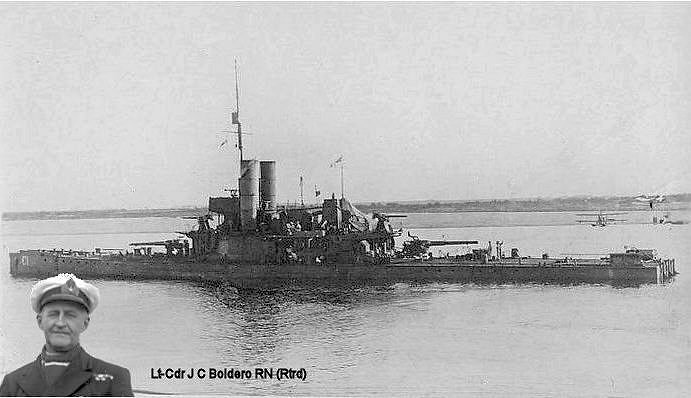 Boldero was a Coastal Forces veteran from WWI where he had served with distinction in the famous CMB attack on the Bolshevik Fleet in Kronstadt harbour in 1919. A young Sub-Lt Boldero was awarded a DSC while serving as No 1 on CMB 31 which torpedoed the Bolshevik battleship Andrei Pervozanni under heavy fire on 18th Aug 1919. He retired in 1922 taking a position as assistant secretary with the Shanghai Water Company. After twelve years John was mobilised as once again the clouds of war began to darken in 1939. That was followed with an appointment on HMS Scorpion, followed by HMS Durban, a cruiser in the Eastern Fleet based in Singapore. Lt-Cmd G H Gandy RN (Rtrd) then took command of MTB 10 as S/O of the flotilla.